Small Blue Beaded Hoop, Beaded Hoop Navy, Contemporary Blue Hoop, Birthday Gift For Wife Earring, Valentine Gift For Wife Earring. 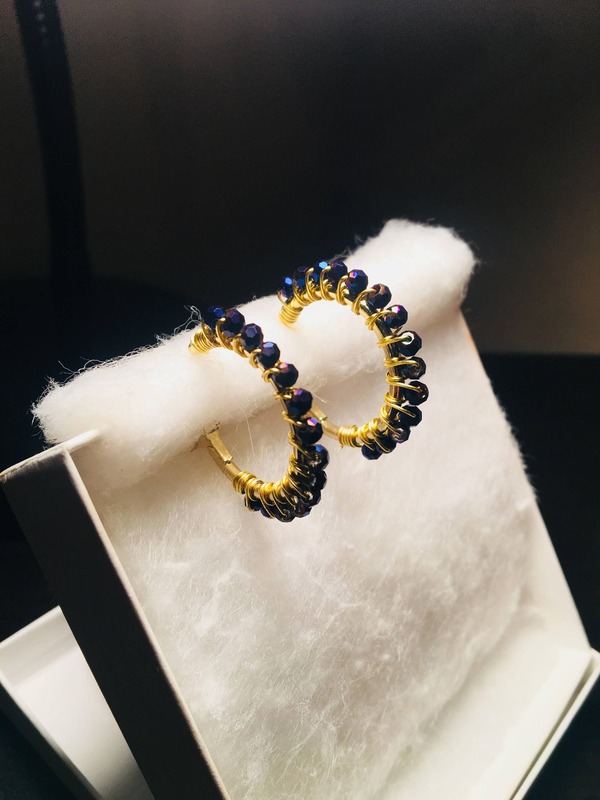 Beautiful navy crystal wrapped hoop earrings. 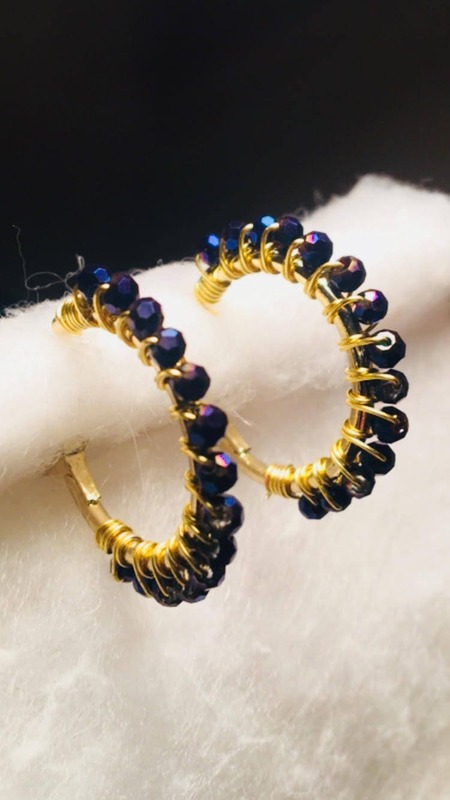 Simple, contemporary and elegant these navy blue hoops are great for day to night. Hoops are one inch in diameter. Make a perfect Valentines or Birthday gift for your wife.